Adam B. Cordover is a Collaborative Attorney, Collaborative Trainer, published American Bar Association author, and Florida Supreme Court Certified Family Law Mediator who believes that family disputes should be resolved respectfully in private conference rooms, not in a hostile public courtroom environment. This unique perspective on approaching family law stems back to his experience studying International Affairs in Washington, D.C., and abroad. Adam had the rare opportunity to work closely with ambassadors and diplomats from war-torn regions around the world. He traveled the globe, learning from diplomatic leaders as they applied dispute resolution techniques to tackle seemingly impossible conflicts. It dawned on him: If these techniques can work in the complex world of International Relations, why not Domestic Relations and Family Law? This realization led Adam to form Family Diplomacy, a Collaborative law firm dedicated to bringing a more peacemaking approach to family law. In his previous role as a litigation attorney, Adam witnessed his clients experience the negative emotional and financial effects that long, drawn out divorce battles can have on families. As a result, Adam has become a strong proponent of the Collaborative Process, where a structure is put in place so that life’s hardest moments do not have to be any more difficult than necessary. Adam focuses on family and adoption law, including Collaborative Divorce, military divorce, adoption (including stepparent, grandparent, and LGBT adoption), paternity, child support and name change. 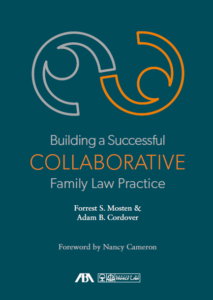 A thought leader in the Tampa Bay, Greater Sarasota, and international collaborative law community, Adam is co-editor and co-author with Forrest S. Mosten of an American Bar Association Book on Building A Successful Collaborative Family Law Practice (2018). Further, he is a Board Member of the International Academy of Collaborative Professionals (“IACP”), former Co-Chair of the IACP Research Committee, current Co-Chair of the IACP Standards & Ethics Committee, and Co-Chair of the Leadership Institute of the Florida Academy of Collaborative Professionals. Adam is also a founder of Tampa Bay Collaborative Trainers and he trains attorneys, psychologists, licensed mental health counselors, accountants, and financial planners to become collaborative professionals. He successfully spearheaded an effort of the Thirteenth Judicial Circuit to draft an administrative order safeguarding the principles of Collaborative Family Law (just the fourth such administrative order in Florida). Adam has been featured in or interviewed about Collaborative Divorce by the Tampa Bay Times, Tampa Tribune, Orlando Sentinel, Miami Herald, Tampa Bay Business Journal, the Florida Bar News, Florida Trend Magazine, NBC 8, Fox 13, Bay News 9, ABC Action News, The World of Collaborative Practice Magazine, iHeart Media, Spirit FM 90.5, and Money Talk 1010 AM. He regularly speaks at professional and civic organizations locally, nationally, and internationally regarding the Collaborative Process. 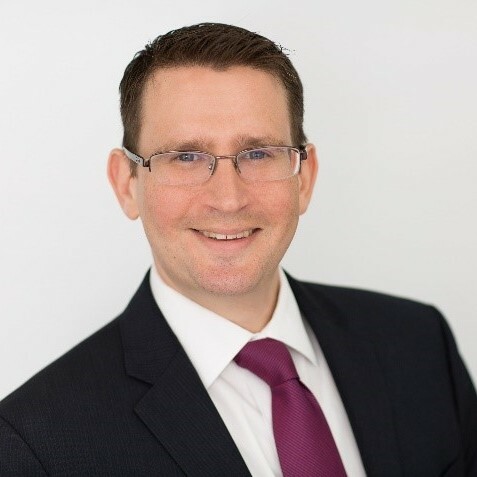 Adam encourages use of the Collaborative model in all types of family law matters including paternity, relocation, child support, prenuptial agreements, and even post-judgment actions. Adam started giving back to the community at an early age, volunteering with a local program dedicated to feeding the homeless. He also served as a leader in Camp Jenny, a program designed to give underprivileged youth an opportunity to spend a week in Georgia enjoying summer camp activities like kayaking, canoeing, hiking, and arts and crafts. At the University of Florida, Adam was a fundraiser for Stop! Children’s Cancer, and while in Washington, Adam promoted the 9/11 Unity Walk, which encouraged dialogue between members of different faith communities. Since returning to his Florida roots, he has proudly served the Tampa Bay community. He is currently a pro bono Collaborative attorney through a joint project of Bay Area Volunteer Lawyers Program, Next Generation Divorce, and the Hillsborough County Bar Association Collaborative Law Section. Adam has volunteered for Are You Safe, Inc., an organization that provides crucial services to victims of domestic violence. He is also a regular volunteer at Bay Area Legal Services (“BALS”) and helps indigent, unrepresented litigants complete family law forms through the BALS Family Forms Clinic. He has donated his time to Faith Cafe’s feed the homeless program, Mayor Iorio’s Hillsborough River and Waterways Clean up, and the James A. Haley Veterans’ Hospital through the Hillsborough County Bar Association Community Service Committee. Adam has also served as a Guardian Ad Litem through Voices for Children. DOWNLOAD ADAM CORDOVER’S COLLABORATIVE LAW C.V.
February 2018 – Stop, Collaborate and Market! May 2015 – The Collaborative Mutliverse: Is there Really only ONE set of Rules?